General Daily Predictions: Today, with the Moon from Cancer we all feel the need to nurture and protect the ones we love. At the same time we look back to our roots finding ways to refresh our memory and heal the wounds of the past. What lies ahead depends in our emotional burden. Will we be released? Thankfully, later at night the Moon will form a positive aspect with the Sun helping us find our inner balance and fight the chaos which lies in our heart. Dealing with the past is not easy but this is our chance to bind grief and banish sadness. 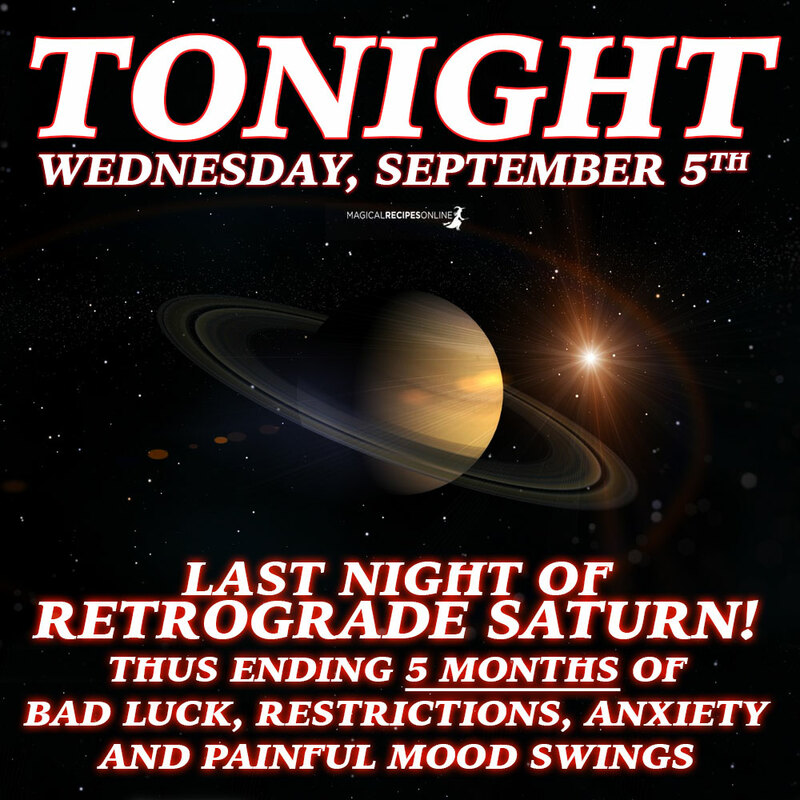 More good news come from Saturn’s last day as retrograde. What is gone is gone. Spend no more tears for the past. Embrace the future. Scorpio and Pisces are the luckiest signs today along with Virgo and Taurus. Aries, Libra and Capricorn should be more careful. This is not an easy day especially when it comes to all things related to your home, your family and your roots. Moreover, your professional life can also be affected probably due to your tension and your lack of relaxation at home. You need to invest more time in you and find ways to blow some steam. Your brain works in a wonderful way today as your governor Venus still receives positive influence from Mercury. Moreover, the Moon will shed some light on the most intimate relations, helping you get in touch with people you love the most. Moreover, small journeys are now favored bring you good mood and good luck! What a good day for you dear Gemini. For starters, your Governor will help you communicate and achieve better results in all intellectual and professional matters. On the other hand, the Moon will give you the time you need to focus on your money issues and find successful ways to refresh your financial status! It goes without saying that this is clearly your day! All the light of your Governor, the Moon is dedicated to you. Hence, all personal and professional issues can be handled with more successful results. Moreover, both finances and your home receive positive influences as well as all jobs that have to do with properties and decoration. Your mood and your health can now see better days as the Moon is here to shed some light on things that brought you back. Moreover, everything seems to be working after a long time of delays, restrictions and lost opportunities. Good luck is coming back! Your friends are here to give you the positive feedback you need to move on and refresh your good mood. Moreover, good news comes from your financial status as extra income may be found or maybe other ways to reduce your expenses. In any way, its also a wonderful way to get in touch with your hidden powers and use them right! This is a powerful day for everything that has to do with your professional life. However, ‘powerful’ can also mean that mild turbulence should be expected. On the other hand, your governor in your Zodiac Sign making a positive aspect with Mercury you can only expect that your goals are back on track! The Moon from Cancer will help you realize that you should focus on your goals once again as your destiny still awaits! What happened belongs in the past. Gather all your strength again, as the stars are now favoring you. With Mars now direct, vitality is restored and your passions are opening the road to success! Positive outcomes should be expected in all your goals – whether these are professional or personal – and travelling. Moreover, this is a day that all matters regarding your social life receive a benevolent influence. If quarrels bothered you the past weeks this is a good day to make things right. Something inside you is waking up. Listen to your guts! With the Moon right opposite your sign, all your relations become extremely important for you right now, especially the ones who are considered most intense and powerful – marriage included. Hence, you should be more careful when dealing with negotiations and co-operations. However, I’ve got good news for you. 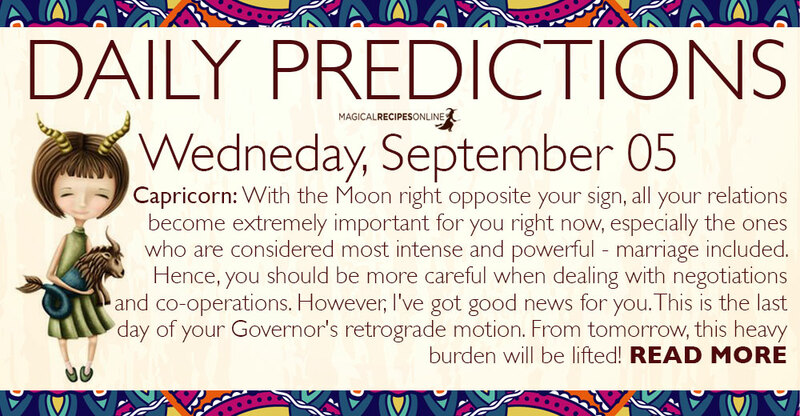 This is the last day of your Governor’s retrograde motion. From tomorrow, this heavy burden will be lifted! Your everyday life, today receives most of your attention as unexpected things may appear, demanding your energy. Work also seems important. But thankfully things start to get better for you in all parts of your life as Saturn goes direct! However, pay attention to your vital energy and your health. Symptoms should not be ignored. With the Moon in your friendly Cancer, smile comes back to your face as good news and happy circumstances fill your day. Flirting is also favoured although cheating should always be avoided especially now that Neptune is still retrograde. Sun 03° Taurus 23' 11"
Moon 28° Sagittarius 38' 06"
Mercury 08° Aries 47' 09"
Venus 03° Aries 50' 19"